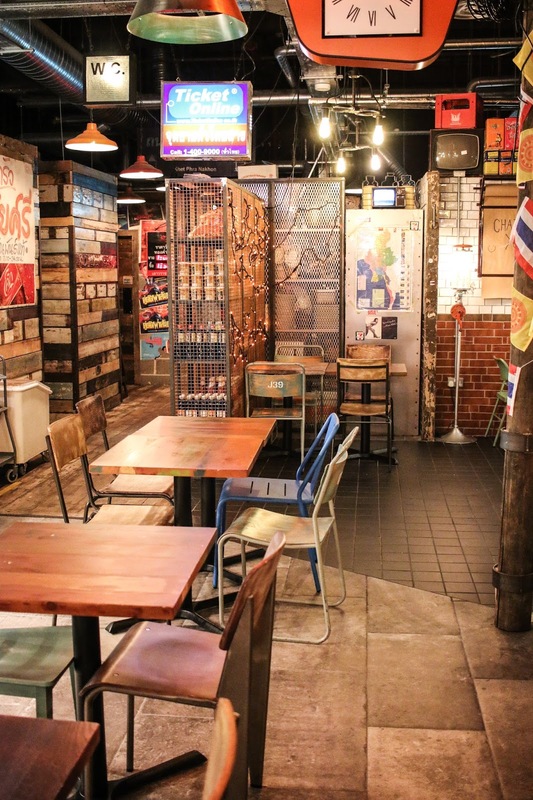 With my trip to Thailand just around the corner, it seemed pretty fitting to finally take a trip to Thaikhun. 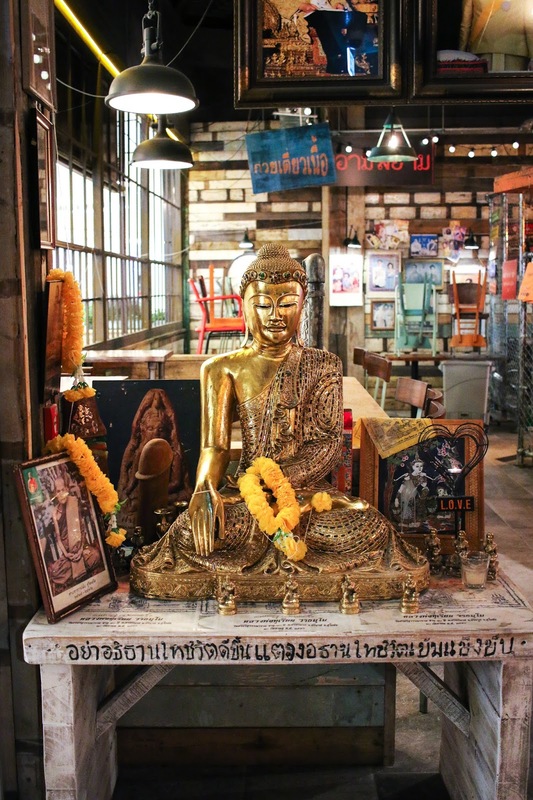 One of the newer additions to the Metrocentre’s Qube, Thaikhun has brought the bustling streets of Bangkok to Gateshead. 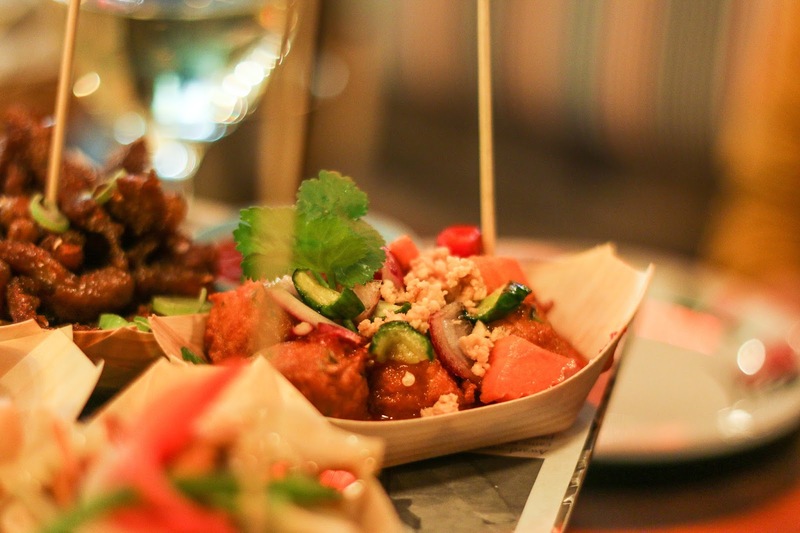 With a menu inspired by Thai streetfood, the menu offers an extensive selection of small tapas-style dishes, sharing platters and traditional Thai dishes. Mouthwatering already? 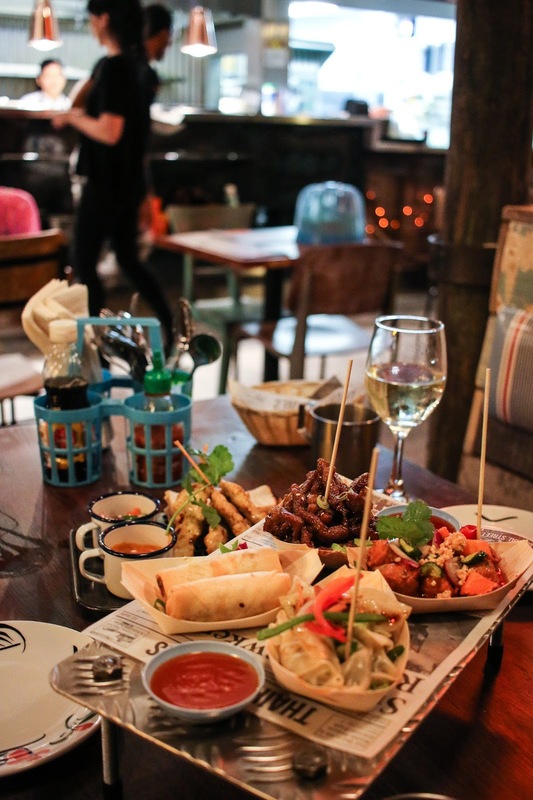 Read on after my review for details of how you can win £100 to spend at Thaikhun with Thai wine producer, Monsoon Valley! Usually I’m a fan of places who just stick to just a few dishes done well. Mainly because I find it quite overwhelming when I’m faced with a huge wall of menu! 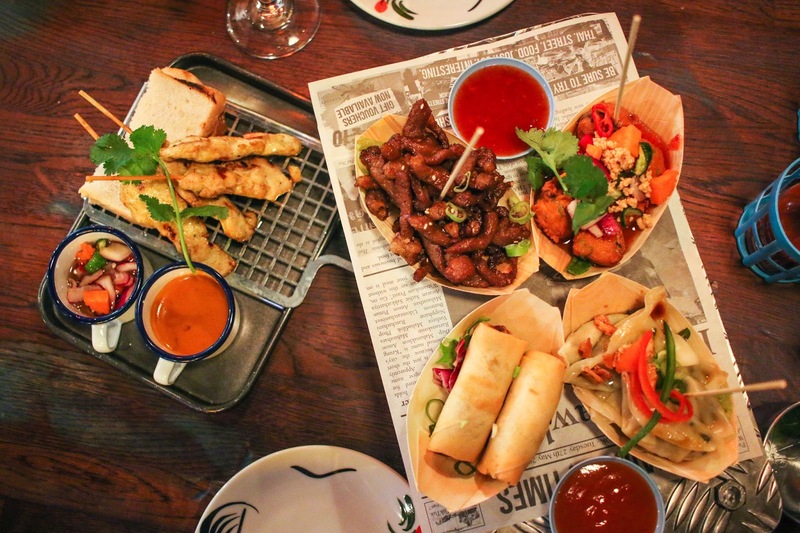 But with pretty detailed descriptions and the most popular dishes highlighted, their menu kind of gets away with it. 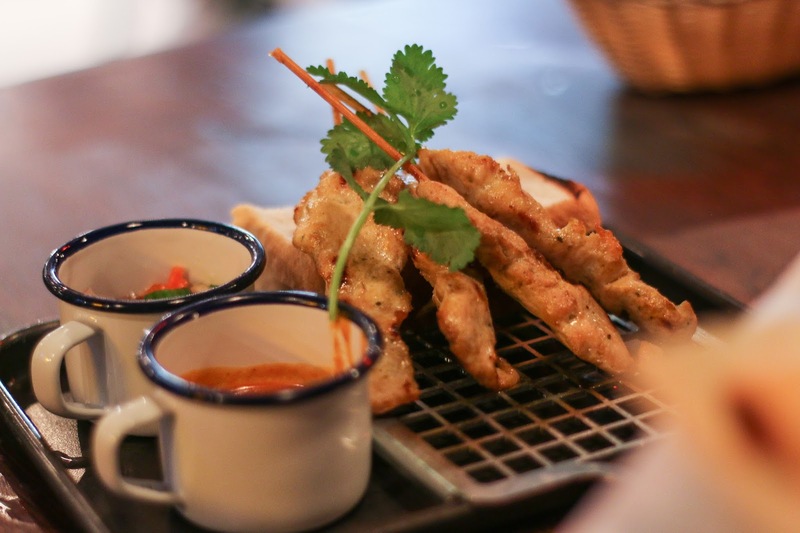 There’s all the usual favourites you’d expect to see, with everything from Chicken Satay and Pad Thai to Massaman curry, along with a few I’d never heard of. Since everything sounded a bit too good to choose from, we decided to start our meal with the Sukumvit 38 Platter. Sampling some of the best-selling dishes from the night market of Sukumvit 38 in Bangkok, it offers delicious bitesize portions of Thai fishcakes, chicken spring rolls, honey pork, and steamed vegetable dumplings. Served in little banana boat shaped dishes, they’re the perfect sharer for two (or even three) people. While I wasn’t the biggest fan of the fishcakes (they had a slight rubbery texture which wasn’t too great), and the chicken satay was a little bland, the rest of the platter was delicious. 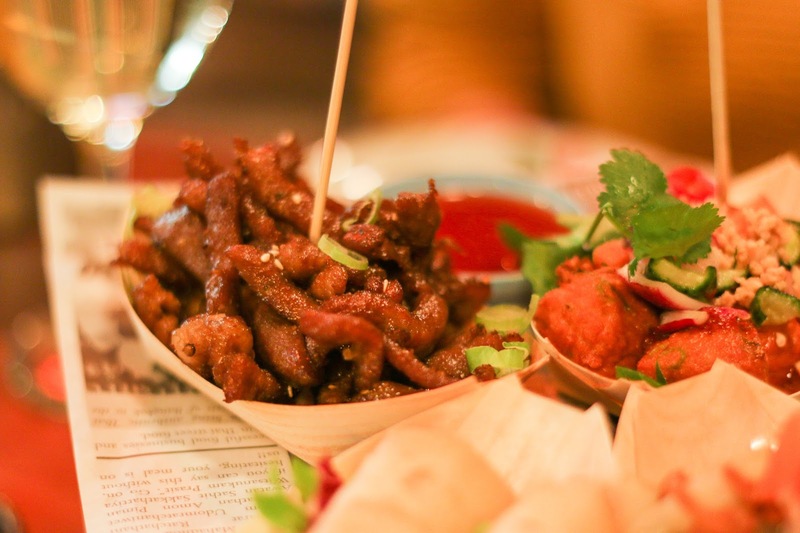 Particularly the crispy honey pork, which if you get the chance, is definitely worth ordering by the bucketful! Since we weren’t feeling overly hungry, we were a little conservative with our mains. 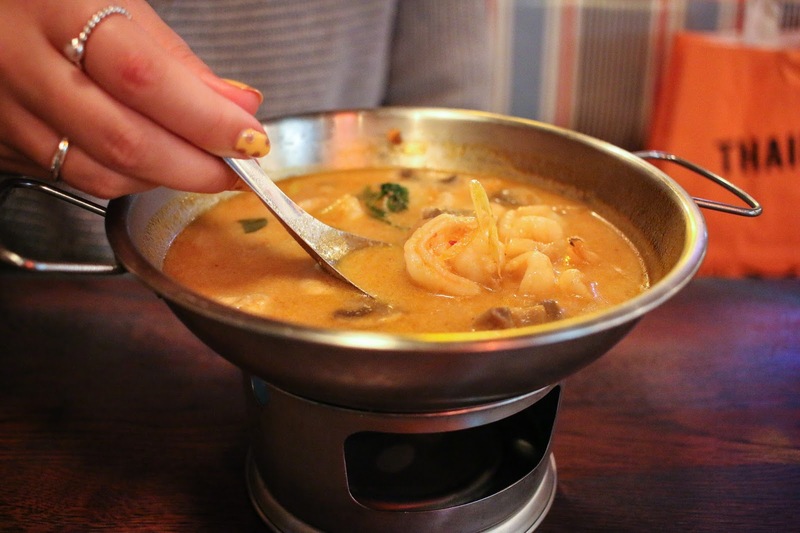 And rather than opting for one of the more exciting dishes, or a pinto to share, we settled on Pad Thai and King Prawn Tom Yum soup. Flavoured heavily with lemongrass and ginger, the soup tasted great – with just the right amount of heat – but wasn’t the easiest to eat. I kept fishing out large chunks of ginger and lemongrass which were a bit too bitter to bite into. It still tasted great but for anyone who’s had a big mouth of either, it doesn’t make for a great dining experience, right? Once I’d found out the hard way, it was more just a case of dodging the offending articles. The Pad Thai similarly was freshly prepared and full of flavour. Had I been a little bit more hungry I might’ve plumped for one of the many delicious sounding curries – I’d definitely be tempted by the Penang on my next visit. Please note, the prize is not transferable and cannot be used in conjunction with any other offers. There is no cash alternative.